Umatilla citrus grower Michael Graham has stayed profitable in the face of the devastating citrus disease HLB by doing grove work himself and keeping costs low. Nonetheless, HLB’s threat to citrus prompted the fourth-generation citrus producer to plant a 5-acre peach orchard three years ago. 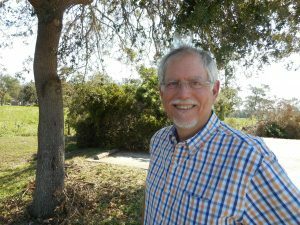 Graham planted only the UFOne variety recommended by his nurseryman, Phil Rucks of Phillip Rucks Citrus Nursery, at a relatively low density of 80 to 85 trees per acre. The peach venture has been highly successful. “In three years, what I’m making on peaches, it would take six to seven years in citrus,” Graham says. Graham also does his own work in the peach orchard. He says if he hired it out, production costs would range from about $3,000 to $3,500 per acre. His revenue averaged about $5,000 an acre in his second year of production. Profitability came much faster than could be achieved in citrus. “They (peach trees) grow phenomenally fast,” he says. Graham sold 95 percent of his crop directly to end consumers at a u-pick facility he owns; buyers picked their own fruit. Skipping the middleman and selling at retail netted him the excellent price of $3 per pound. “We base that (price) on what they are charging at the grocery store,” Graham says. 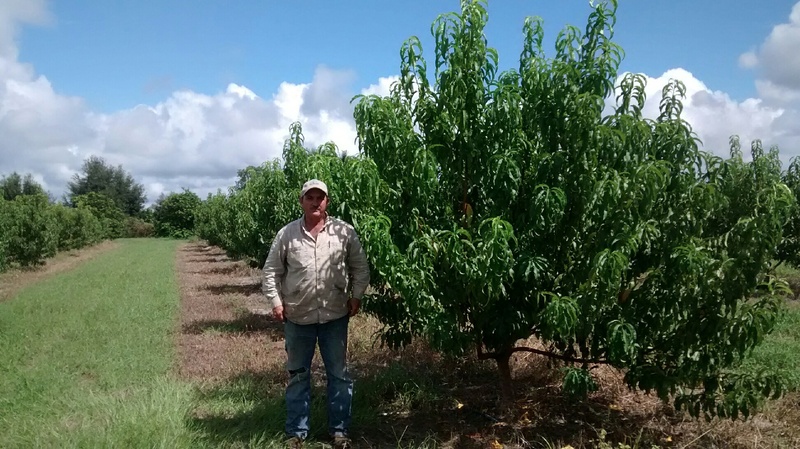 He sold the remaining 5 percent of his peach crop to a company that has several Florida fruit stands. Most peach growers don’t sell their fruit directly to the end consumer, so they don’t get the top price that Graham received. Still, multi-county citrus Extension agent Chris Oswalt says peach growing can be profitable “for some under the right situation and market conditions.” He adds, “I think the better growers are making money.” Oswalt, who covers Hillsborough and Polk counties, learned about peaches after HLB was discovered in Florida citrus in 2005 so he could help citrus growers wanting alternative crops. Oswalt estimates the first-year cost of peach production, including land preparation and planting, at $7,800 per acre for most growers. For following years, he estimates costs of about $4,500 per acre. 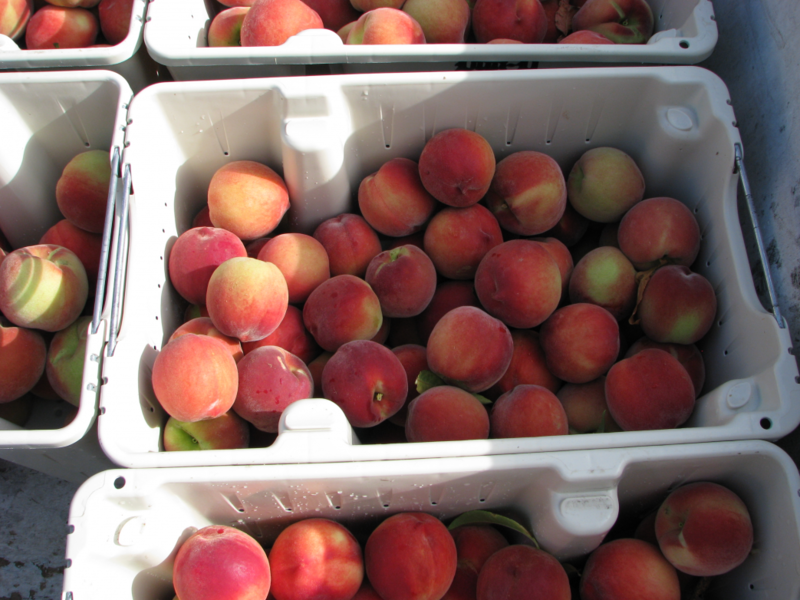 The Extension agent says “there is significant variability” in peach revenues. “It depends on the grower’s expertise and the amount of chilling hours acquired during the winter,” he says. (Chilling hours are the number of hours at certain cold temperatures needed for fruit development.) 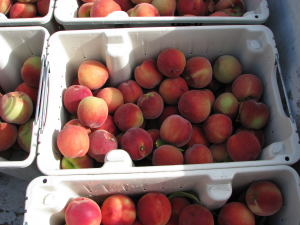 “Then you have to consider the market price along with the packable pounds per acre.” Oswalt estimates orchards that are several years old will produce between 6,650 and 8,700 pounds of peaches per acre. 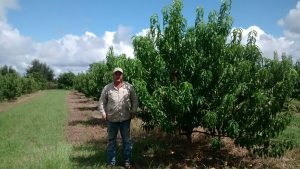 Grower Graham says although peach trees only live to be about 10 years old, requiring replanting in a decade, he should still be profitable. He plans to expand his orchard to 10 acres next spring. Michael Graham with his peach trees at 16 months of age. “They grow phenomenally fast,” the grower says. Peaches are “a challenge because they’re real labor intensive,” says Graham. The biggest job is thinning the crop (removing most fruit) so there’s an 8- to 10-inch space between pieces of fruit. Graham and his family have done the thinning so far, but he may pay tree thinners next year “because all our kids are gone.” He estimates he would pay about $1,600 to have an acre thinned. Oswalt explains that thinning allows remaining fruit to grow to a diameter of 2.25 inches, the minimum size preferred by consumers. Thinning is necessary, he says, because all peach blossoms can become fruit. Citrus, on the other hand, is self-thinning; 98 percent of citrus flowers fall off on their own before becoming fruit. Early on in their growth, peach trees need to be pruned into “an open vase system,” Oswalt says. That means most limbs at the bottom are trimmed off so the tree is shaped somewhat like a flower vase. Graham says peaches require more spraying of pesticides and nutritionals than is needed for citrus. He sprays about every seven days from bloom to harvest, or for about 90 days. Like citrus growers, peach growers “mow the middles and use microsprinklers,” Oswalt adds. There is a narrow marketing window for Florida peaches before Georgia peaches come to market in late spring. “If Georgia is in the market, then prices will typically be significantly discounted for the Florida product,” Oswalt says. 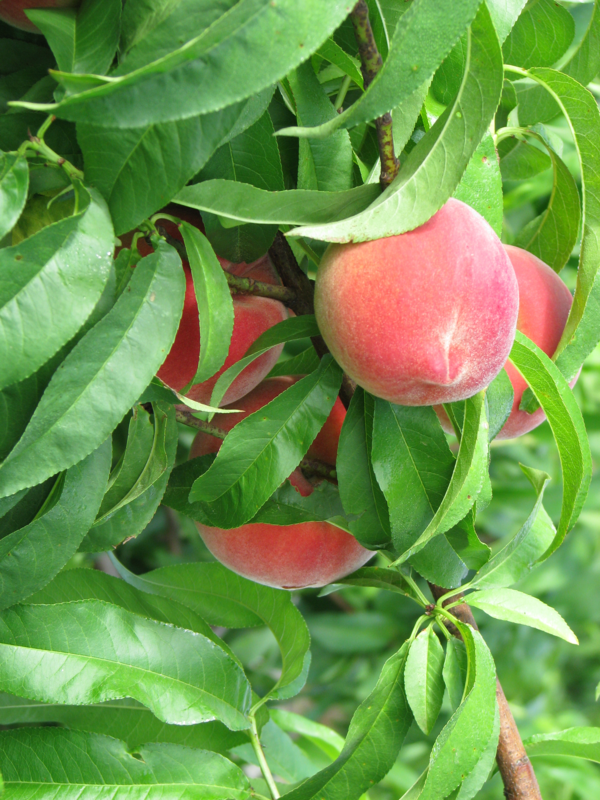 Acres: There are approximately 3,000 acres of peaches in Florida, virtually all grown for fresh consumption. Most have been planted since HLB was discovered in the state in 2005. While most peach acres are in central or north Florida, at least one orchard is south of Arcadia. Growers: Oswalt says “a fair number” of peach growers also grow citrus. Tree density: Most growers plant from 150 to 175 peach trees per acre, similar to modern citrus plantings. Varieties: “I would say UFSun, UFOne and UFBest (are the main varieties), although UFOne is better adapted to areas with more chilling hours, north of Interstate 4,” Oswalt says. The University of Florida developed these varieties. Tree growth: “They (peach trees) grow like weeds,” Oswalt says. Fruit and harvest: Fruit can be harvested in the tree’s second year. The crop matures about 90 days after bloom and is picked from about mid-March to mid-May. Because peaches are picked from the ground, growers top trees at a maximum height of 8 feet.